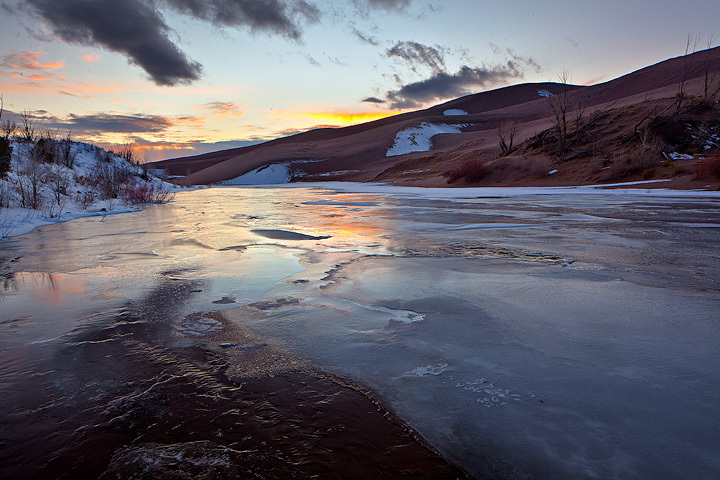 A trip to the Sand Dunes for sunset on December 14th, 2011. 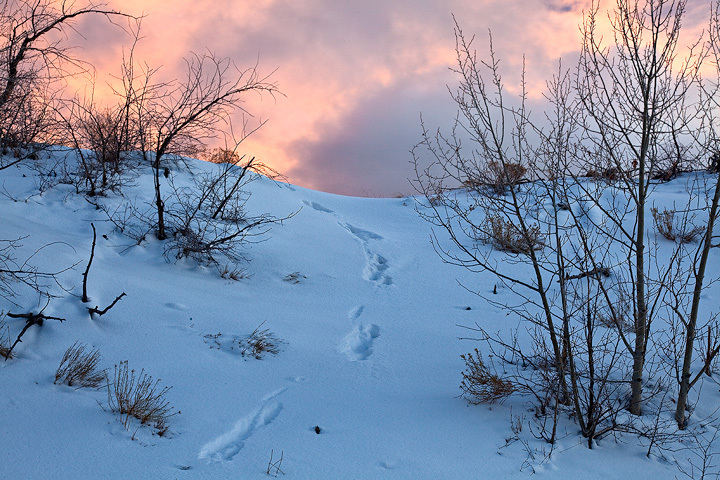 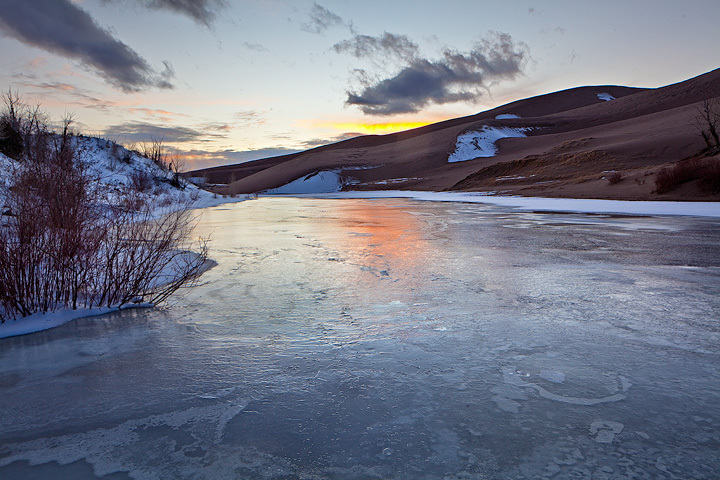 Frozen Medano Creek was the main target. 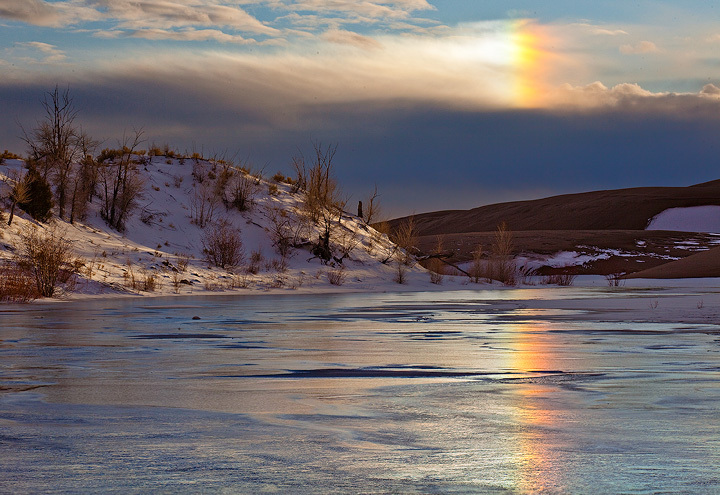 Caught a nice sun dog reflecting in the frozen creek. 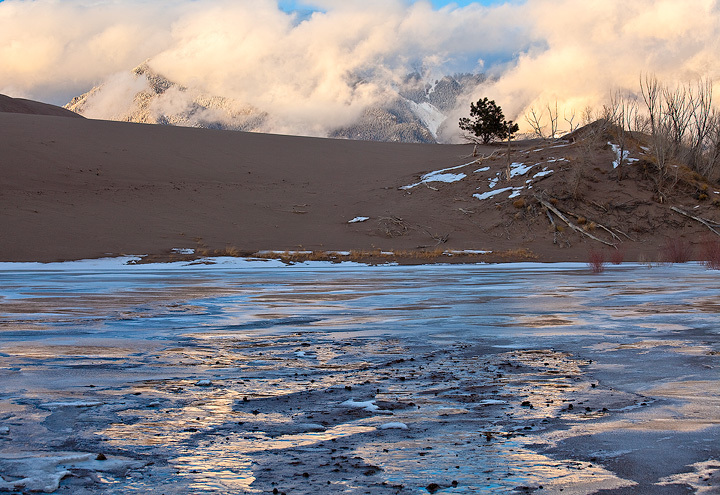 Had the whole park to myself--I love Winter in the Dunes! 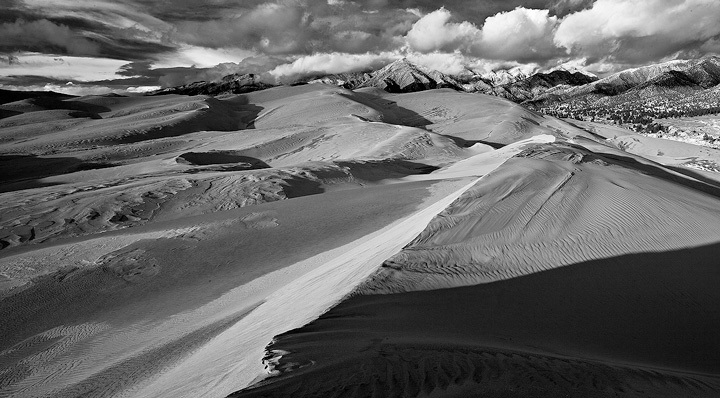 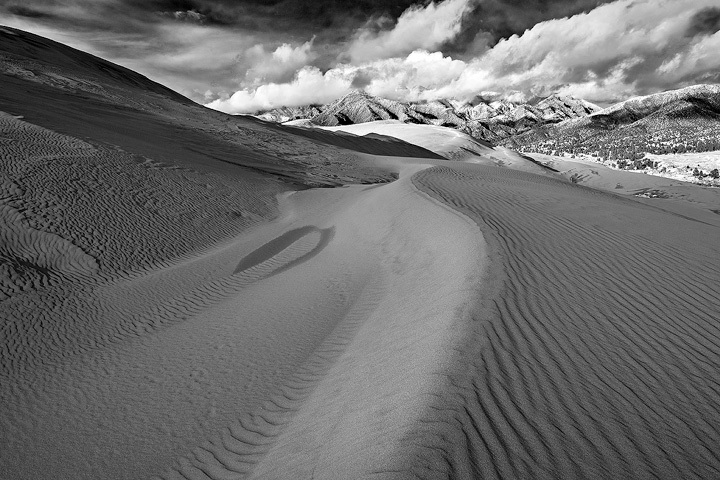 Curves on top of the Great Sand Dunes. 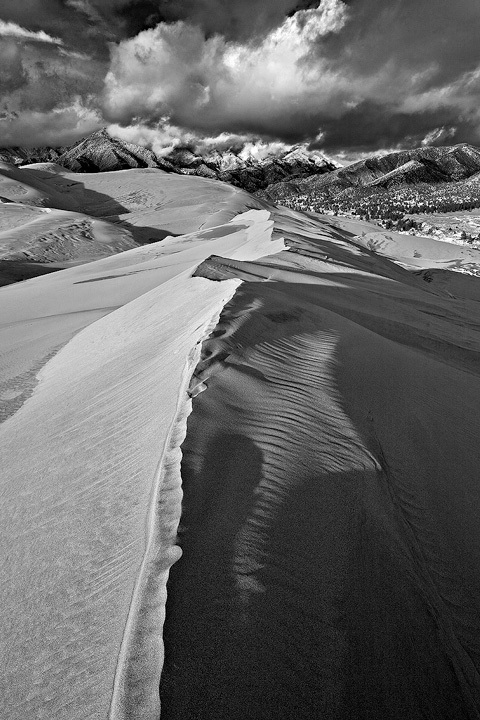 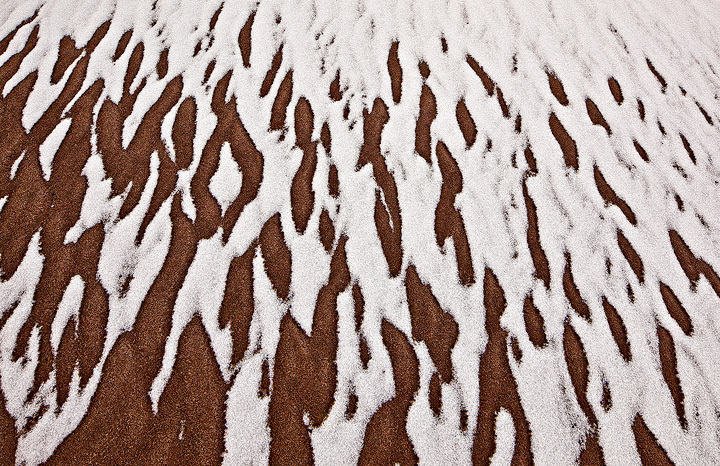 Sculpted sand crests the Dunes in Winter. 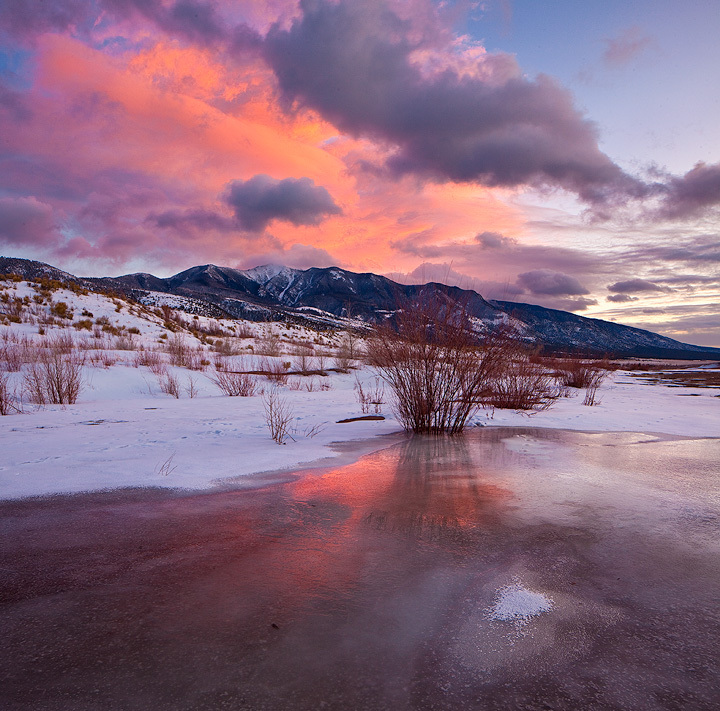 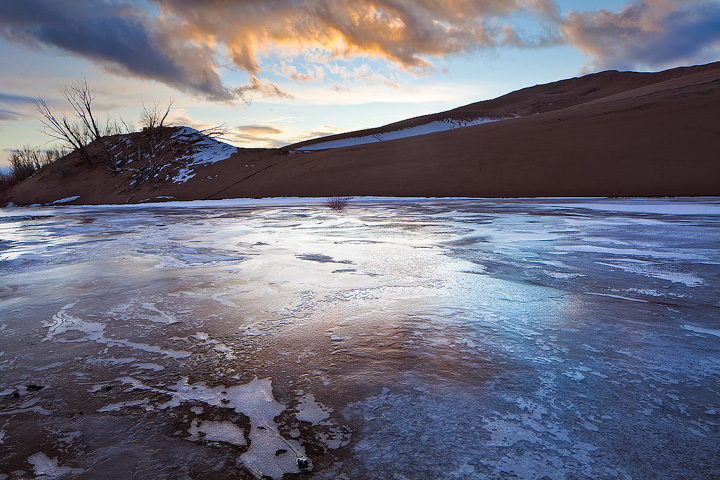 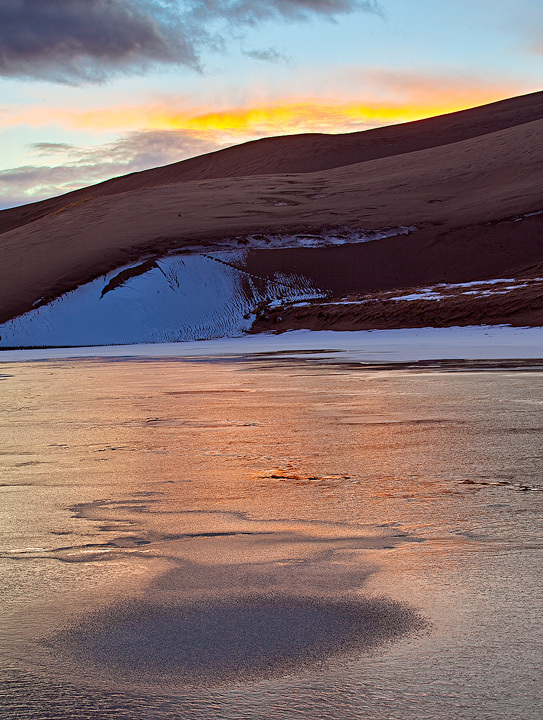 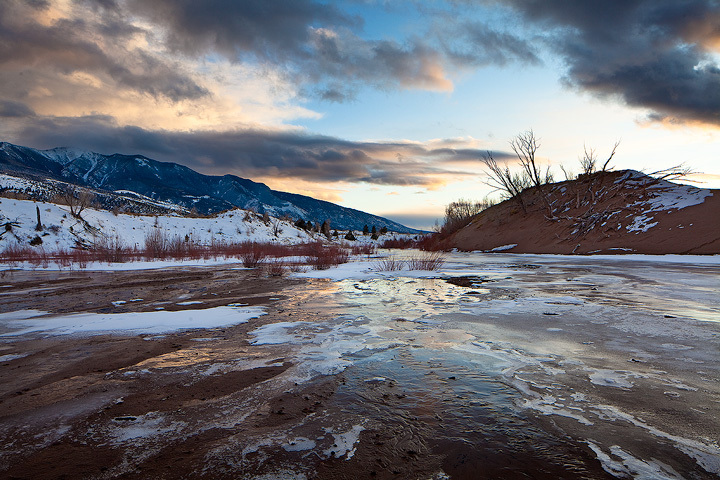 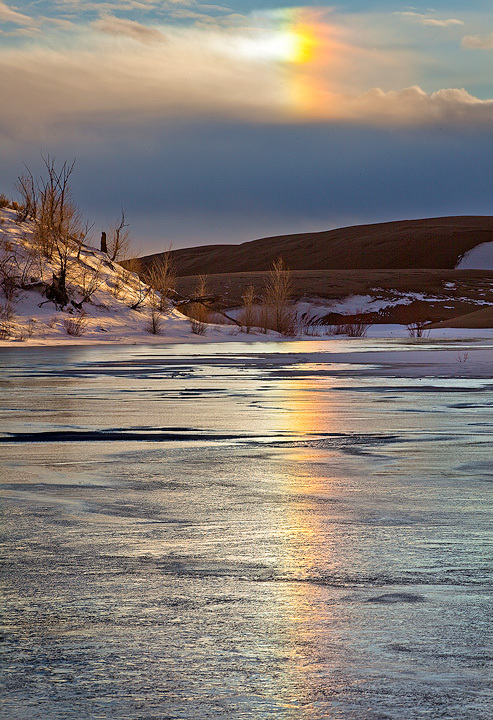 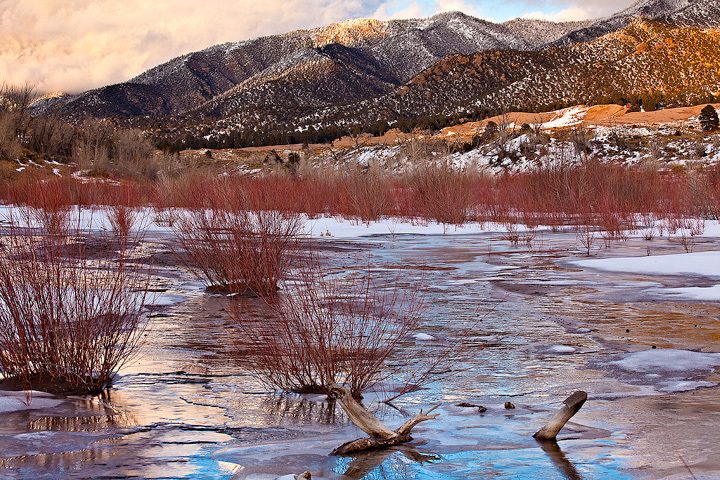 Frozen Medano Creek at sunset.